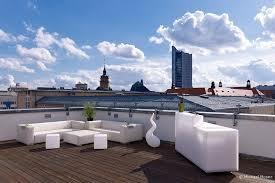 We are looking forward to an informal get together on Leipzig's new rooftop terrace of the Innside Melia Hotel. HHL's new Chancellor Dr. Marcus Kölling will also join and is looking forward to meet up with the HHL Community in Leipzig. Please sign up on the platform here if you will join us. Kindly note that food & drinks are on everyone's own account.